I was watching a child crank the handle on a Jack in the Box. He was lost in the Pops go the Weasel music. At the point we all know, Jack erupts from the box and the child lets out an exclamation of surprise. 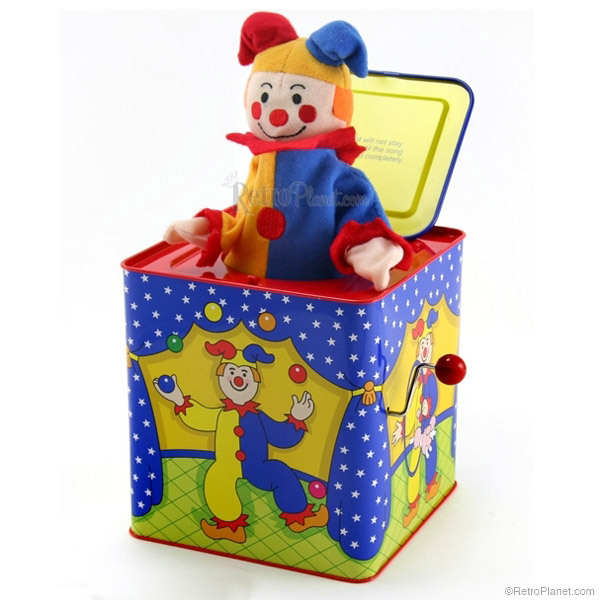 The child immediately puts Jack back into the box and begins cranking again. This went on for almost a half hour. It stuck me that this childhood experience is recreated day after day in most of our lives. I think of a particular situation in my life. I have a colleague who promises to support a project that is very important to me. Every time it’s time for this person to act they don’t do what they promise. Their behavior is consistent and clear. Yet, I continue to want them to do something different. I want them to honor what they promises and every time they don’t I act surprised. So I’m not much different than the child with the Jack in the Box. Simple, right? Yes and a life spent in being hopeful that others would do what they say, no matter what their actual behavior is, plays itself out once again. I am the person who is the author of my disappointment, not my colleague. They are as predictable as I am. I can change my experience by accepting what’s true and acting from that reality. When I choose to do this, my disappointment disappears. The choice is now mine and not that of someone else and that’s real power. Previous Post What did You Say? Next Post What’s your limitation? David Banner on It is What it is!